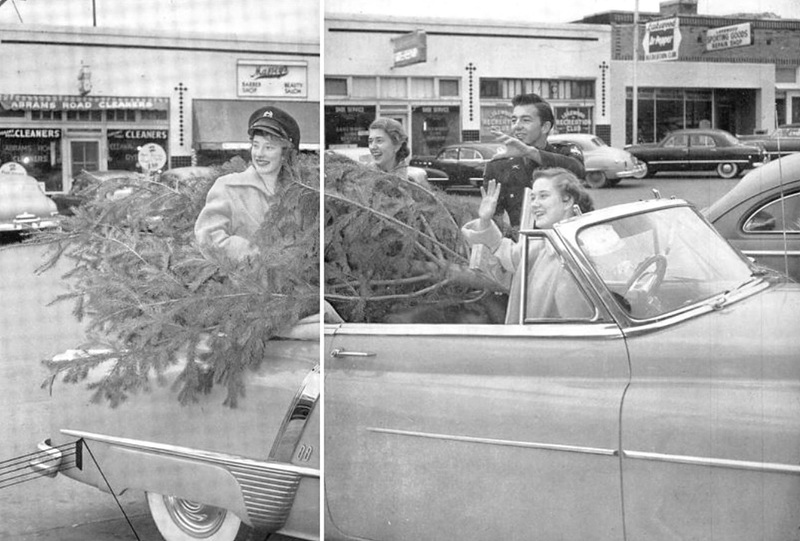 Above, Woodrow kids with a Christmas tree crammed into their convertible, taking a moment to wave at someone in the distance, probably a classmate coming out of Harrell’s Drug Store. Next stop, wholesome 1950s tree-trimming fun, complete with mugs of warm cocoa and Perry Como singing about Christmas on the radio. 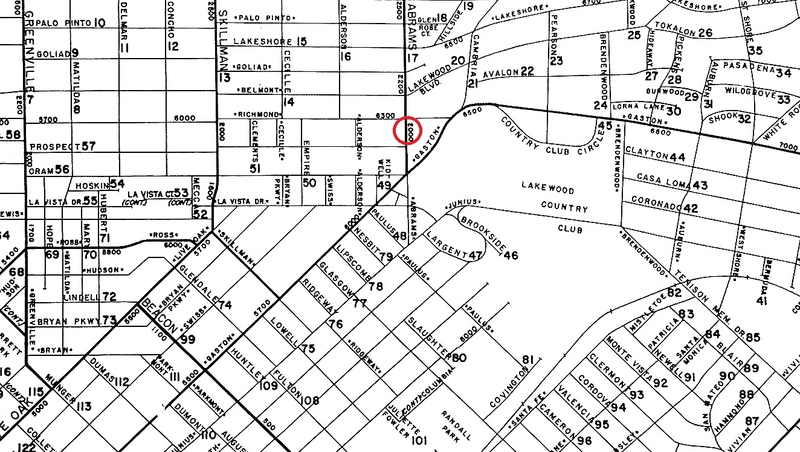 If you’re familiar with Lakewood, it might take a second to get your bearings, but this was Abrams Road. 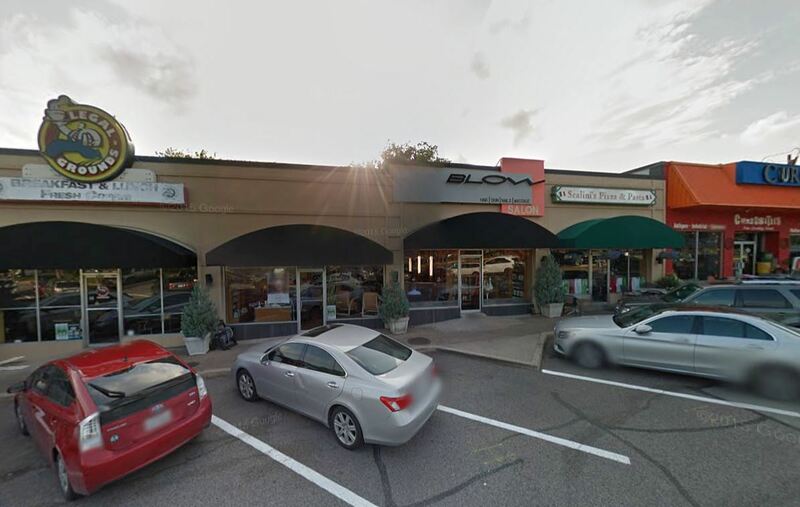 It’s now the short stretch known as Abrams Parkway, directly across Abrams from the Lakewood Whole Foods — it basically serves as a parking lot for the businesses now occupying these buildings. Just out of frame to the right, a couple of doors down, was the old El Chico restaurant, now Hollywood Feed. A detail of a page from the 1952 Mapsco, which will be confusing to those who might not know about the weird “Abrams Bypass” that happened in the early ’80s (click for larger image). Photo from the 1952 Woodrow Wilson High School yearbook, The Crusader. Apologies for the quality — the photo appeared across two pages and was scanned at a pretty low resolution. It’s still pretty cool, though. 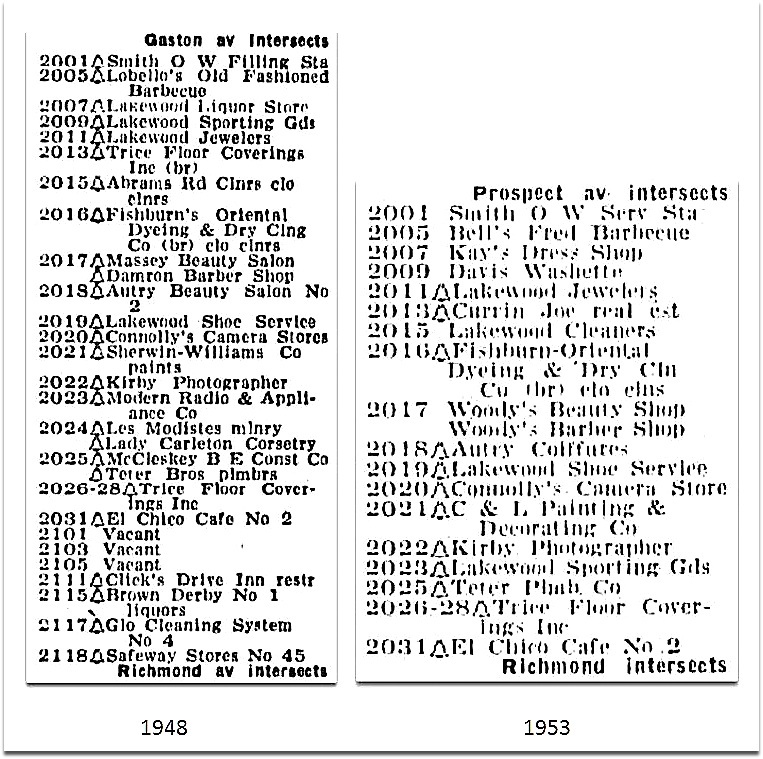 To see a magnified detail of the businesses on the left half of the photo, click here; for those on the right half, click here. When in doubt, click pictures to see if they get bigger — they usually do! Christmas in Lakewood! Thank you Paula! And have a merry one on Friday! Thanks — you, too, Teresa! This is awesome to see. My Father was a barber in the Masseys Barber Shop location in the 1960’s when it was ran by a gentleman named Mr. Mills. The barber shop was in the front of the building and the beauty salon was at the rear of the building. 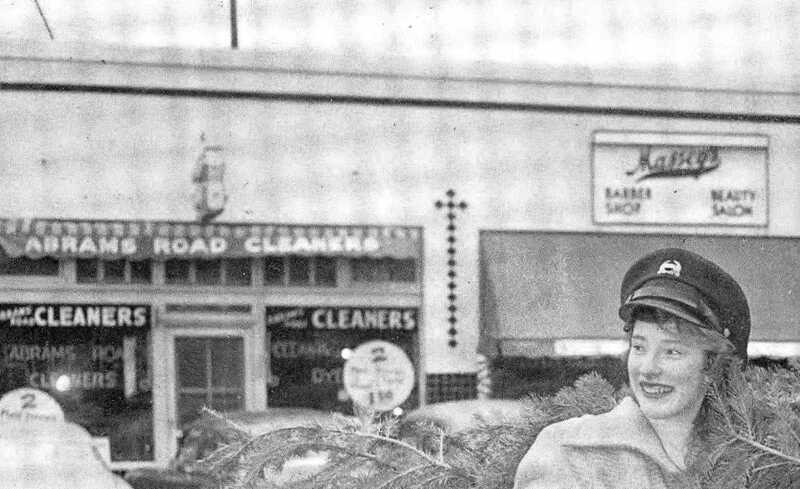 There was a Skillerns Drug store next to it located across from Seven Seas Restaurant and the Lakewood Theatre. The shop holds some of my most cherished early childhood memories. Thank you for bringing back a glimpse in time.